Marfan syndrome is a multi-system connective tissues disorder that affects about 1 in 5,000 people. While the probability seems low, Marfan syndrome and related disorders affect an estimated 200,000 people in the US and medical experts assess that half of those are still not diagnosed. Marfan syndrome can be hard to identify and individuals living with this condition may exhibit different combinations of features, some of which require special tests to detect and can be fatal. 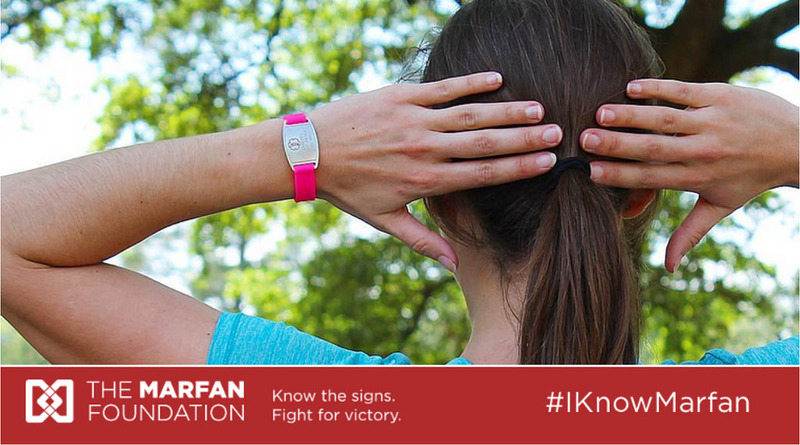 According to The Marfan Foundation, knowing the signs of Marfan syndrome can save lives. Wearing a medical ID for Marfan syndrome can raise awareness of the life-threatening aspects of this condition and help affected individuals to live life with peace of mind. In an emergency, alert responders and other health professionals about important medical information. 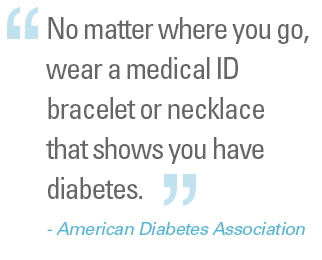 95% of responders check for a medical ID around the neck and/or wrist. This is especially important for invisible symptoms or conditions associated with Marfan syndrome. If you become unconscious and unable to communicate, medical IDs can help relay your unique medical and safety needs. Help avoid misdiagnosis and allow healthcare providers to give you timely and precise treatment. People living with Marfan syndrome can have different sets of features. No two people are the same and therefore why a custom engraved medical ID is vital. 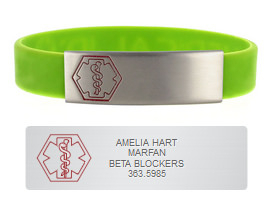 Each medical alert bracelet or necklace for Marfan syndrome awareness can be customized to a person’s unique medical information. This resource is a joint effort of American Medical ID and The Marfan Foundation to spread awareness of Marfan syndrome, alert emergency medical personnel about the risk for aortic dissection, and give people with Marfan and related disorders the life-saving benefits of wearing medical alert jewelry. Visit The Marfan Foundation for more patient and family resources, and to find Marfan support near you.